That’s what Juancho Hernangomez told Mile High Sports before the trade deadline after he had fallen out of Denver Nuggets’ head coach Michael Malone’s rotation. There was no apparent path back to consistent minutes for the young Spaniard, but he remained hopeful that should he stay prepared and patiently wait for his chance to help his team, his time would eventually come. 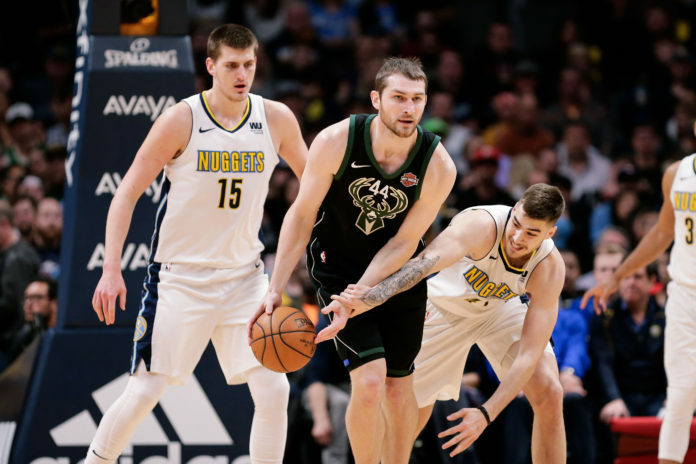 Hernangomez remains outside of the rotation as the season nears its end, but with Wilson Chandler absent from Sunday’s game with the Bucks, Juancho finally got his chance to make an impact. 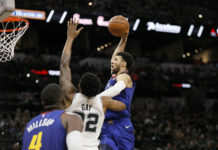 Hernangomez didn’t exactly fill up the box score, but he played 20 minutes in the 128-125 overtime victory and Malone was eager to point out his positive impact on the game when he spoke to the media. Hernangomez’s maximum effort on the court is reflective of his tenacious work ethic. Few players on this team spend more time in the gym than him. 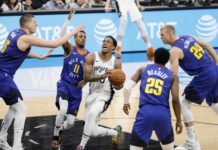 He works on his shot tirelessly, and he sits near the top of the Nuggets’ leaderboard when it comes to the ‘last man in the gym’ following a practice. That trait has kept Hernangomez going throughout his time being stuck on the bench. 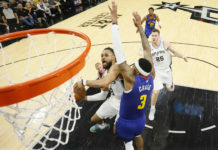 He was open and honest about his desire to play, but he never let that frustration seep into his approach towards his training or being an engaged teammate. Juancho is one of the more highly-regarded players in Denver’s locker room. He’s earned respect for the way he’s approached falling out of the rotation, and he’s often described as one of the funnier and more affable guys on the roster. The players and coaches were happy for the 22-year-old, but they were hardly surprised. They know what he brings to the table. Hernangomez’ position in the rotation hasn’t changed — these minutes fell his way due to Wilson Chandler missing the game with a nasal fracture — but he was ready when an unexpected opportunity fell his way. That’s what he’s been working so hard for, that’s what he’s been waiting so long for.